Forty years ago, at the inaugural Kennedy Center Honors, the five artists feted were an opera diva, one of the premiere songwriters of Broadway, a master choreographer, one of the greatest pianists of all time, and probably the greatest dancer in film history. For this year, the Kennedy Center honored one ballet dancer, two pop music songwriters, a television writer/producer who uses his programs to further his own political agenda, and a rapper. If anyone can make the case for LL Cool J being in the same league as an Arthur Rubenstein, Fred Astaire, Marian Anderson, Count Basie, Lucille Ball, Sammy Davis, Jr., Maria Tallchief, Ella Fitzgerald, or Cary Grant, I'm more than happy to listen. Before we continue, I think it's important to note that I have championed both Gloria Estefan and Lionel Richie being Kennedy Center Honorees. However, Ladies Love Cool James? In the past few years, I have objected to the shifting of the Kennedy Center Honors from fine/'high' arts: ballet, theater, music, film, and television towards more 'pop' culture: rock/pop music (including whole groups) and talk show hosts. It's been a bit of a slippery slide, going from Richard Rodgers and Leonard Bernstein to Led Zeppelin and Sting. Now, I love Zeppelin, Sting and The Eagles, but I wouldn't put them in the same category with Lerner & Loewe or John Williams. The 2017 Kennedy Center Honors was despite some controversy and a big push to attract more viewers via LL Cool J, both a remarkably stale affair and a bad example of how not to make a case for certain honorees, though not without some standout moments. In order, Gloria Estefan, Norman Lear, LL Cool J, Carmen de Lavallade, and Lionel Richie were celebrated for their lifetime work (despite the fact that the youngest-ever Honoree, James Todd Smith, aka LL Cool J, is 49, which respectfully does not exactly fit into 'lifetime'). Various performers introduced a bit of a biographical sketch of the particular artist and there were tributes via musical performances or monologues by other well-and-not-so-well-known individuals. For most of the special, the first three were done a great disservice by their presentations. Things started off badly when Eva Longoria saluted Estefan in a dress that showed an immense amount of cleavage. While the music was good, it is curious that in the musical performance segment, the production decided to perform two songs Estefan did cover versions of (Turn the Beat Around and Everlasting Love) rather than her own compositions (Coming Out of the Dark would have been a great moment, but if memory serves correct, not played). The title song from her Spanish-language album Mi Tierra was, and performed badly. I've not heard of Becky G, but I though her singing was terrible, and her wardrobe looked like she was honoring Selena more than Gloria. Further, the Kennedy Center Honors didn't properly acknowledge that the performance was connected to her jukebox musical: On Your Feet! For all the audience knew, they were just doing a medley of her greatest hits (and covers), not seeing people who were doing a Broadway show. This is even stranger considering that two past Honorees: Billy Joel and Carole King, also had jukebox musicals but in their salutes, they had greater recognition (King had her whole salute bookended by Beautiful: The Carole King Musical). 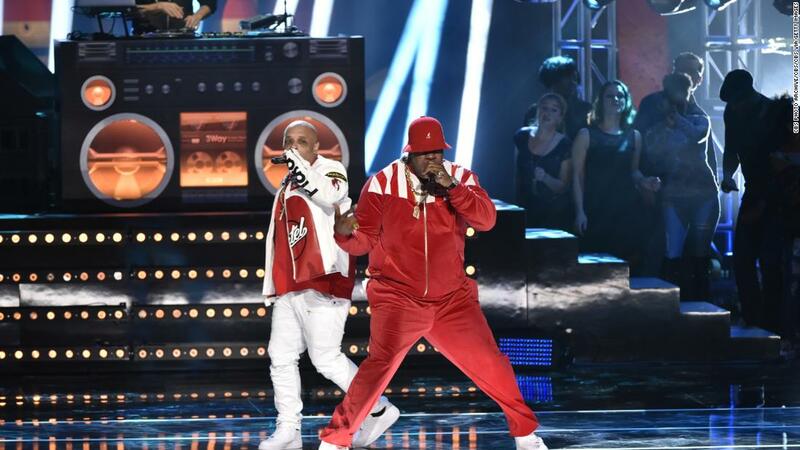 In what might be the night's most unintentionally hilarious moment, Queen Latifah's salute to LL Cool J stated, "Tonight, we honor LL for his contributions to our culture, that began with him banging on the garbage can on the corner of Farmers Boulevard". Somewhere in that statement, there's a metaphor. The clip reel did not make the case as to why LL Cool J is that important in terms of overall culture or impact on it, and his 'contributions to our culture' are apparently that he's well-built, a good husband and father, the films Toys and Any Given Sunday, and his long-running stint on NCIS: Los Angeles. Despite the constant urging of the DJ and rap performers, apparently only Anthony Anderson stood to celebrate weak renditions of Mama Said Knock You Out, the only song I actually recognized. If the clip reel is to be believed, that song was about knocking out drugs and teenage pregnancy, not dissing on other rappers and proclaiming LL's own return (I can't call it a comeback). I love Busta Rhymes, but I don't think his gravelly voice was the best to belt out Mama Said Knock You Out. I do wonder why MC Lyte could not be persuaded to perform I Need Love or Around the Way Girl or Doin' It. My guess is that at least the first two are from a male perspective, but nothing says she could not take ownership of them. 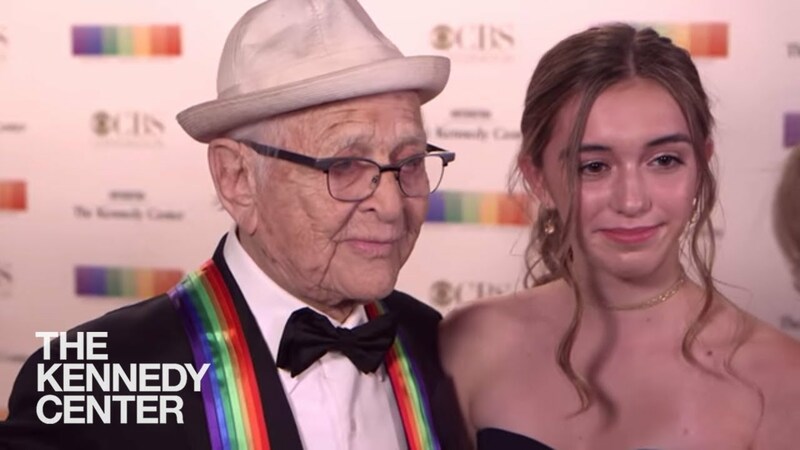 The presentation of Norman Lear, the oldest-ever Kennedy Center Honoree, sandwiched between Estefan and J, was perhaps the worst, but not because the presentation itself was bad or because he isn't worthy of recognition. As a digression, I confess to having seen only one of Lear's programs: The Jeffersons. The only other Lear program I heard about as a child was One Day at a Time, but that was only because my mother referred to it as 'the show where the mother has an affair with the plumber'. Whether Ann and Schneider ever did have a fling I leave to any fan-fiction (something I don't think existed at the time). The presentation was bad because a good part of it wasn't devoted to his actual television work, but to his creation of People for the American Way, his left-wing advocacy group. Was Lear being honored for his body of work on television or for his political activism? This isn't like when Danny Kaye was honored for his UNICEF work. To focus so much on Lear's PFAW to me is as ghastly as taking up time to salute Charlton Heston's NRA advocacy (which I don't think they did when he was honored). Lear had already introduced politics into what should have been a nonpartisan event, but more on that later. This year, despite the high-voltage names in the honoree box, the only ones that managed to make a case as to why they should be honored were Richie and, somewhat ironically, de Lavallade. I say 'somewhat ironically' because previous Honoree Meryl Streep admitted that few know who de Lavallade is. The prima ballerina's tribute included a performance of Wade In the Water, choreographed by the late and legendary Alvin Ailey, and a performance by another prima ballerina, Misty Copeland, who respectfully acknowledged that as an African-American, she stood on de Lavallade's shoulders. These were beautiful and brilliant renditions of dance and showed how de Lavallade matters. With Richie, we saw the scope of his songwriting and all the influences he has drawn from. That is what makes the criticism of the performances so strange to me. 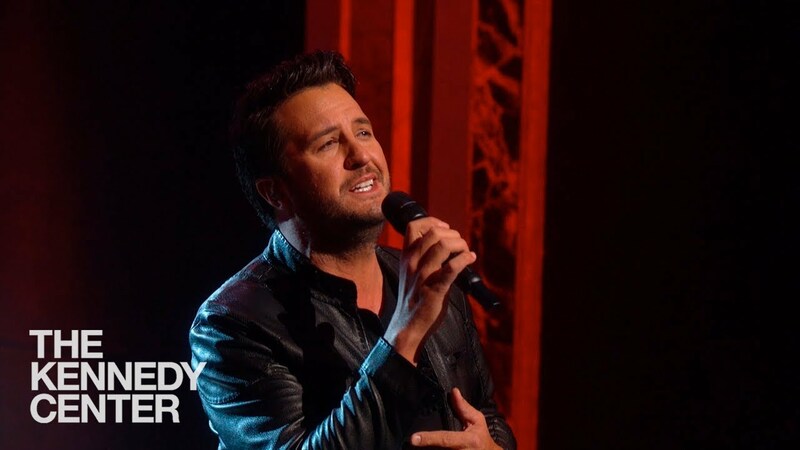 On 'the Twitter' many bashed the fact that country singer Luke Bryan performed two numbers: Penny Lover and Sail On. I suspect that what those complaining about were saying that a 'country' (read 'white') singer should not perform music from an R&B (read 'black') singer/songwriter. You can criticize Bryan for a lot of things with regards to his own music or his singing, but to criticize him for performing two Richie covers is idiotic. Lady is a Richie song performed by country legend Kenny Rogers (who I think merits a Kennedy Center Honor of his own), and Stuck on You is a pretty solid country song. Furthermore, Bryan's generation embraces all types of music. One of Bryan's biggest hits, That's My Kind of Night, has him all but rapping himself and talks about listening to 'a little Conway, a little T-Pain', a mixtape I doubt either Conway Twitty or T-Pain would enjoy. Maybe That's My Kind of Night is an awful song, and maybe Bryan epitomizes the worst of 'bro-country', but to say Bryan 'shouldn't' sing Lionel Richie is to me irrational to the point of foolish. Finally, on the political front, much was made of the fact that neither President Donald Trump or First Lady Melania attended, the first time either the President or First Lady skipped the event. This was done in response to Lear, then later de Lavallade and potentially Richie, boycotting the traditional White House presentation. This, to me, was a bad decision, showing that some performers cannot get over their disagreements. Barbra Streisand attended despite being presented to former President George W. Bush. Charlton Heston attended despite being presented to former President Bill Clinton. All four rose above their personal grievances and politics to recognize the artistry and the Presidency. Granted, Trump is not my idea of a President, but he is the President, and it's time we got over that (and I say this as a charter member of Never Trump). With the exceptions of de Lavallade and Richie, the Kennedy Center Honors did not make the case as to why these five individuals were worthy or recognition (LL Cool J the most dubious selection). Given how the Kennedy Center did not honor Maureen O'Hara or Peter O'Toole when they were alive, or Olivia de Havilland who is 101, it all seems so strange. The fact that this was the lowest-rated Kennedy Center Honors in the twenty years they've kept records does not make this any easier. Perhaps it's time to focus more on Emanuel Ax, Bernadette Peters and or Betty White than on Run DMC.